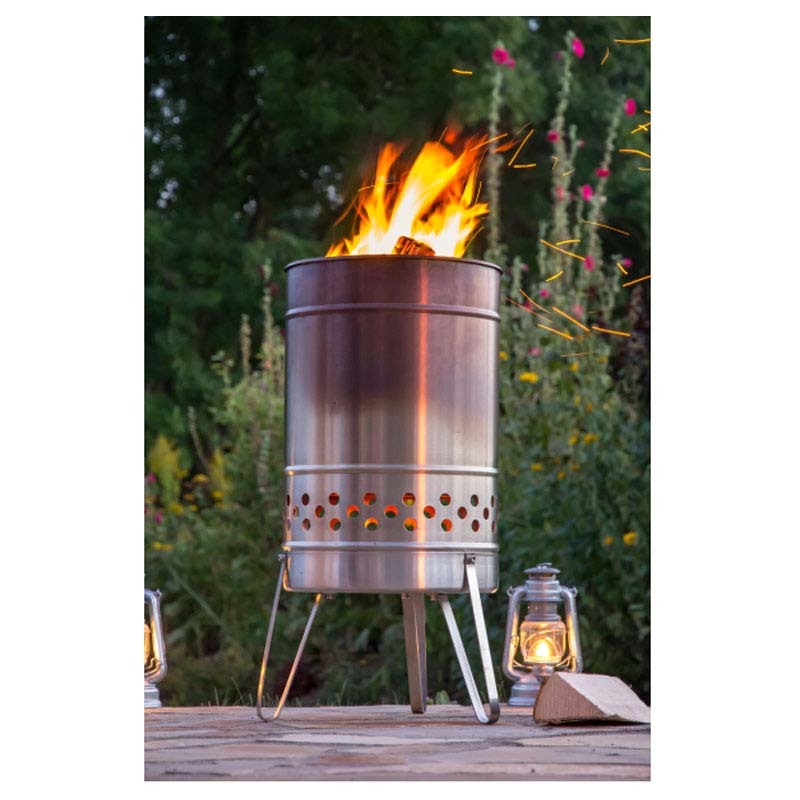 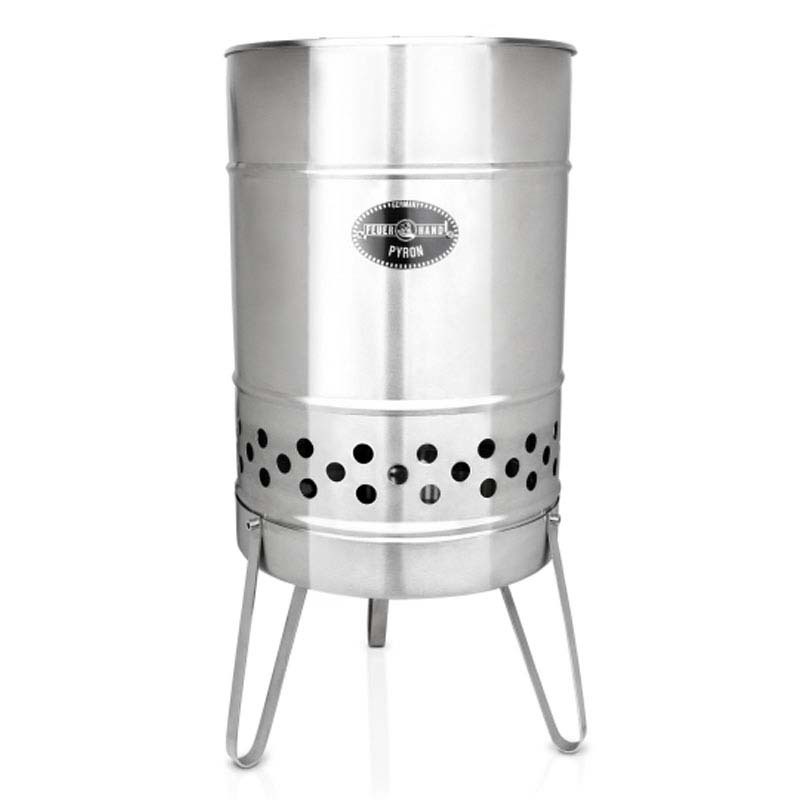 - With regular use traces of usage and a distinctive patina (protective layer) will form on the stainless steel Fire Barrel Pyron, contributing to its rustic industry style. 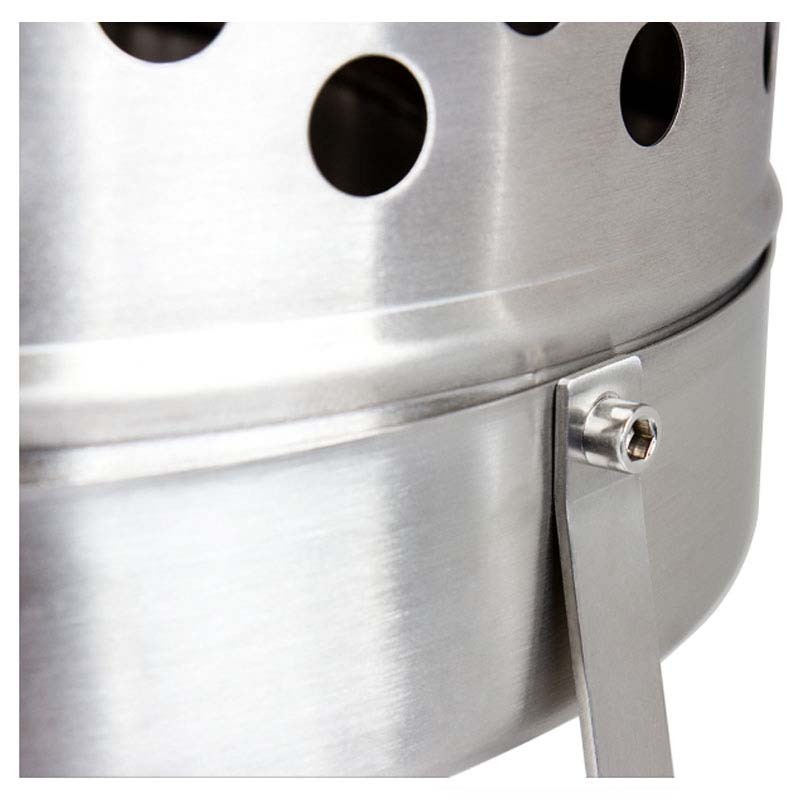 - Thanks to the stack effect and the wood boiler principle the combustion in the Fire Barrel Pyron is very clean and almost smoke-free. 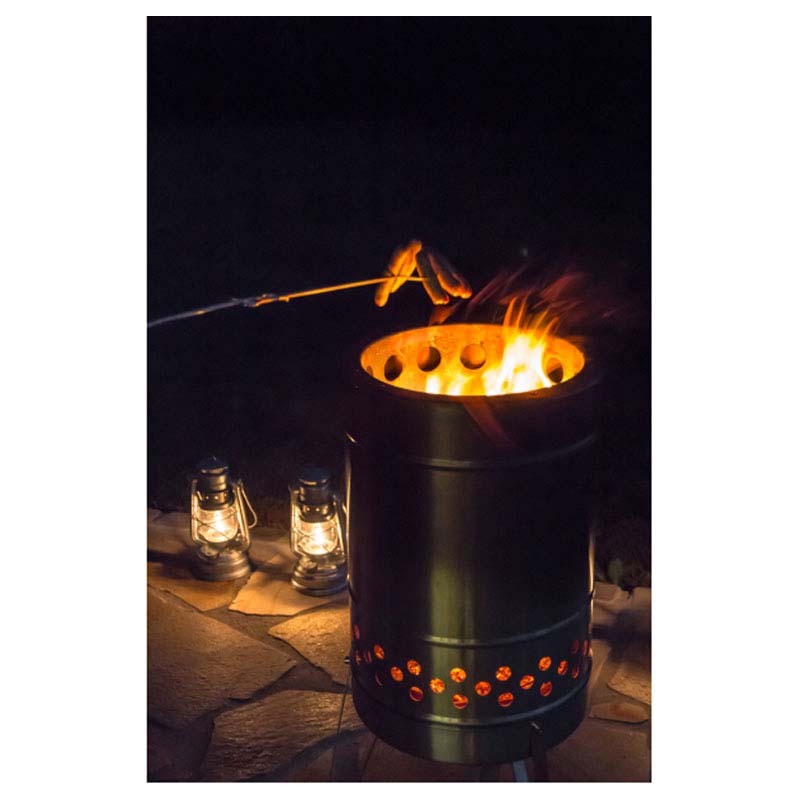 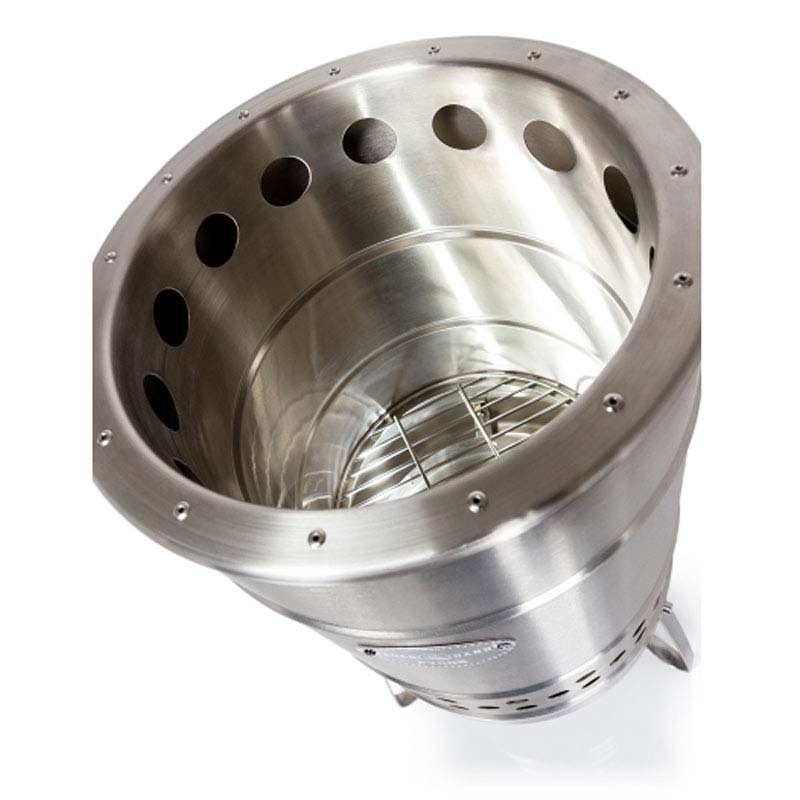 - The fuel is in the right place in the Fire Barrel Pyron thanks to a charcoal grate, and the ash dish catches the combustion residues reliably. 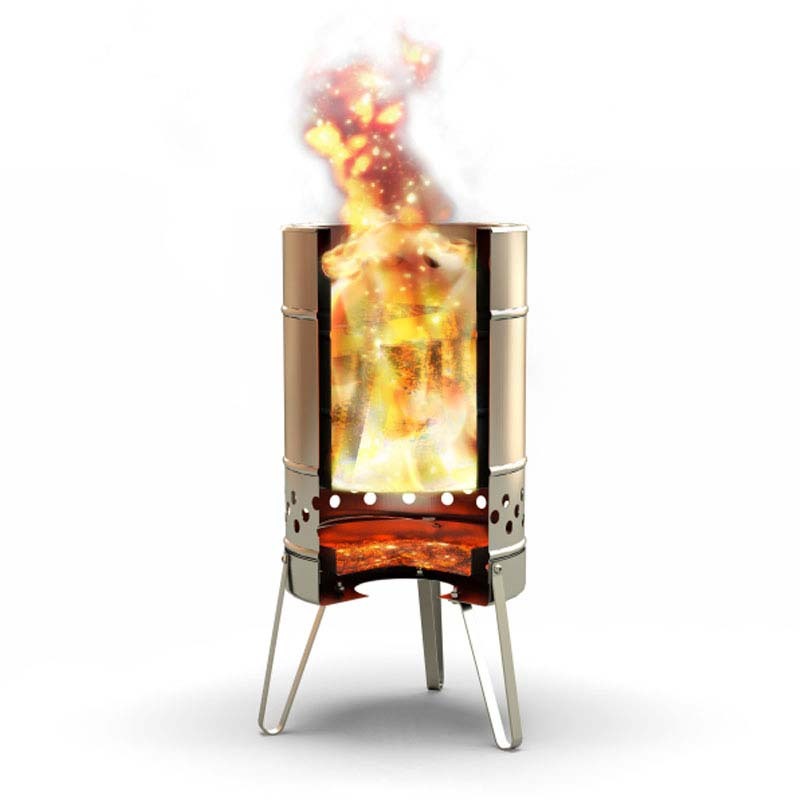 - The three feet ensure the stability of the fire barrel on almost every surface and also protect it from damage caused by heat and flames.